For me beauty begins from within, how you feel inside the way you take care of yourself this completely reflects on your face like a sparkle also the positive energy you give off, but most of all self love radiant on your skin. Too much make-up covers your pores, so the more we put on the harder it is for your pores to breathe. This can lead to skin irritation and breakouts. Don’t get me wrong, I love all make-up just like any other woman, I just like it minimal and in moderation. For me indulging in make-up will be a dash of eye shadow, a dap of eyeliner or a hint of lipstick, but not all at once. With love 💕 everything is possible. 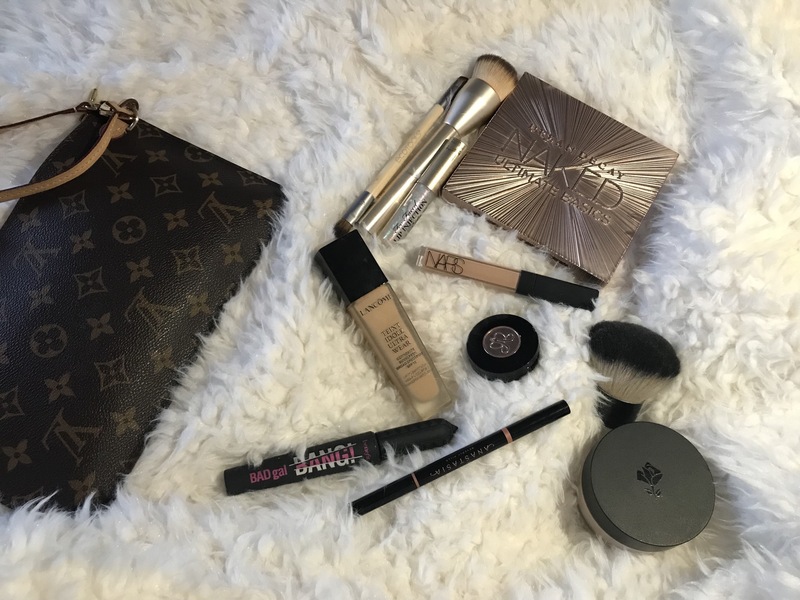 This entry was posted in Fashion, Self Help and tagged Anastasia, Benefit, Eco Tools, Lancôme, Louis Vuitton, Naked, NARS, Too Faced. Bookmark the permalink.